On Tuesday, we shared on article on our Facebook related to resources for helping students celebrate Chinese New Year. FFT Fellow Liz Kleinrock (also the 2018 Teaching Tolerance Award Winner) brought to our attention that many Asian countries celebrate Lunar New Year during this time period, not just China. Indeed, from January to the middle of February, China, Korea, Vietnam, Laos, Singapore and many Asian countries celebrate the Lunar New Year as national holidays. According to Voice of America, all celebrations have one common feature: family reunions. Many go back home to spend time with family, even if they live far away, and have New Year’s Eve dinner – the most important holiday dinner in China and many other Asian countries. 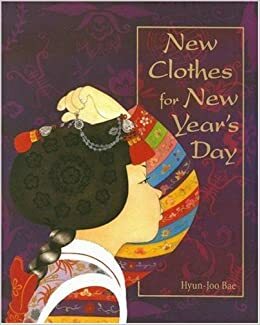 To clarify the broad scope of the holiday, Liz suggested using the picture book New Clothes for New Year’s Day by Hyun-Joo Bae with younger students. “I think it could also be beneficial to use Lunar New Year as a lens to explore how different Asian countries celebrate (China, South Korea, Vietnam, etc.) including food, clothing, and traditions,” she said. We chose to highlight some different countries that celebrate Lunar New Year by sharing images of our Fellows who designed fellowships to learn directly from those who live there. Enjoy the video above and this Year of the Pig!